Curious how many forum members will be there or if anyone plans on vending. Car Show, Drag Racing and Vending.Drag racing is the feature but the Car show happens first. See flyer for schedule. Rain Date: Sunday, September 30. Flyers on www.potomacramblers.com and http://www.masondixondragway.com/201820AMC.jpegWeather update via text - Text 21003 to 84483 to sign up. Is this the popular one or CECIL COUNTY?Went a few years back it was great lots of cars ,great car show,nice track,,,next year a DUD. 6 or 7 cars to race ,maybe 2 or 3 vending, very few show cars. Heard something about a split in groups. I go to numerous AMC events to support but its not worth a 9 hr drive to see so few . I can not make it do to health issue. 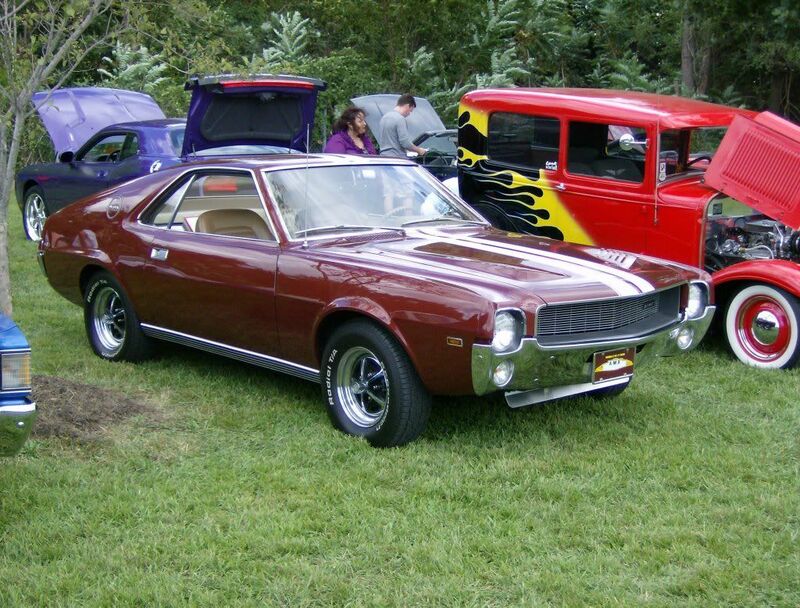 Plus next day is Mid Atlsntic AMX AMC Cubs recheduled show date in Lahaska, Pa. If the weather is good this might be a good turnout as Cecils rescheduled date is October 27TH. The way this crazy weather has been we might have to put studded snowtires on our cars. Now that would be some interesting burnouts. Lol! I'm planing to go to both the Mason Dixon Show and then the Cecil Show next month. Mason Dixon is hosted by Potomac Ramblers Club and Cecil is hosted by Mid Atlantic AMC Club. So the two clubs will have club members showing, and DVAMO AMC Club will be attending. Mason Dixon tends to be a little bigger these days for Show Field participation, but this could be because of the very Hot Summer weather in the past at Cecil. The rescheduled Fall Cecil Show, in the cooler October 27th date should bring higher participation this year. Both Shows had vendors and racers. Here are a couple You Tube Videos I made for each of these events from previous years Shows. Others have posted You Tubes as well, that will give you a feel for what it's like. This is not All AMC Day. As stated that has been rescheduled to October 27. I would drive 9 hours to see 30 or 40 AMCs, a Match Race, Drag Racing, a raffle and 10 or so vendors. Further more, this year we are sharing the track with the Pontiacs. Maybe we will see an AMX race a GTO. I can't blame typhoon for not wanting to make the trip. We hear complaints from the people in Eastern PA and New Jersey that Mason Dixon is too far away. I will be there but I am pretty sure nobody will be looking for little old me. I will be looking for you dave.